Join us April 21 – 26 in Lakeland, FL at the Sun ‘n Fun Fly-In. You can meet the Goulian Aerosports team and check out Whelen’s latest aviation products at our outside display on the warbird ramp all week. Mike will be performing in the air show on Tuesday, Friday and Saturday. Be sure to watch! Air show hours: 3:00pm – 6:00pm. Whelen will be raffling a state-of-the-art Parmetheus LED landing light plus a basket full of Michael Goulian and Whelen merchandise, including a genuine Goulian crew shirt! 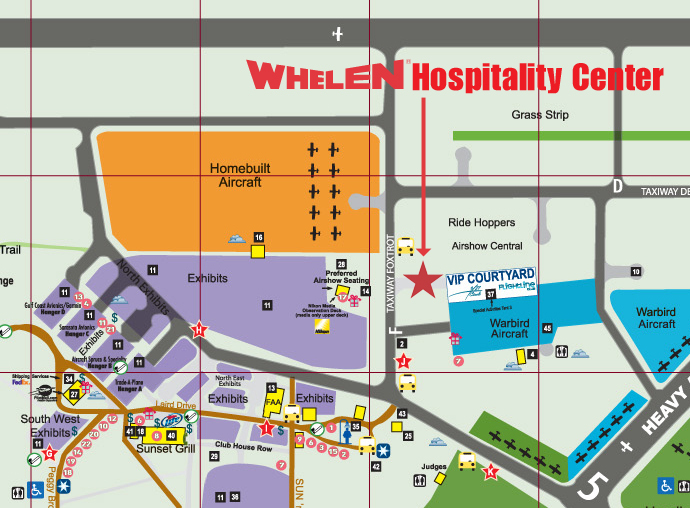 Raffle tickets may be found at the Whelen booth (Hangar A – 072) and at our outside exhibit on the warbird ramp. No purchase necessary. Our outside display is starred on the map – come visit!